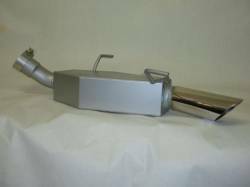 Looking for a extremely unique muffler for your Mustang? Well The Coffin Muffler has designed a muffler that allows more torque and more horsepower while still allowing great fuel economy. We here at Stang-Aholics know that this aggressive sounding muffler will sure turn heads not only for its performance, but also because of its unique coffin design. The Coffin Muffler is a local and family run business that has been in the exhaust business for over twenty years. All of their products are 100% made in the USA. The unique design helps with flow capabilites, more aggressive sound, better horsepower, and increased torque for the vehicle. 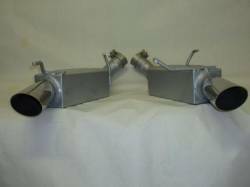 Current product offering includes 2005-2008 V6 Mustang Muffler and Exhaust tip, and the 2005-2008 Mustang V8 performance Mufflers.